Foxtail plants grow by roadsides and in fields throughout much of the United States. Dogs sometimes inhale or swallow their seeds as they run and play outdoors. 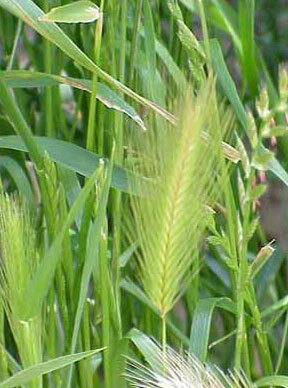 Foxtail seeds have a long, barbed appendage so that they can stick in the hair and even penetrate unbroken skin. When the seed is in your dog’s body, it travels from place to place, damaging tissues and causing infections. If you live in an area where there are foxtails, always examine your dog’s susceptible parts — nose, throat, armpits, and between the toes — thoroughly after he’s been outdoors. Use tweezers to gently remove any foxtails you find.